This article provides information and sample code to help you get started using the Custom Vision SDK with C# to build an image classification model. After it's created, you can add tags, upload images, train the project, obtain the project's default prediction endpoint URL, and use the endpoint to programmatically test an image. Use this example as a template for building your own .NET application. If you wish to go through the process of building and using a classification model without code, see the browser-based guidance instead. To write a .NET app that uses Custom Vision, you'll need the Custom Vision NuGet packages. These are included in the sample project you will download, but you can access them individually here. 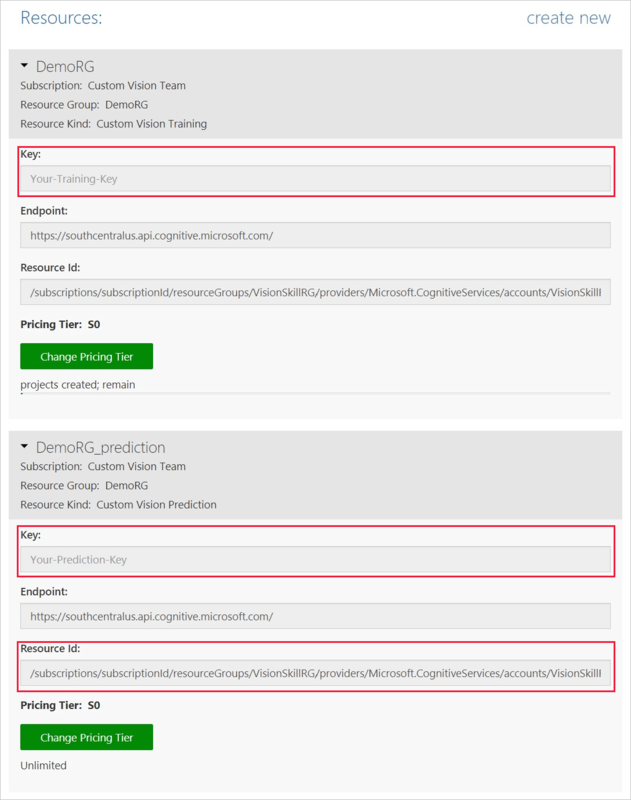 Clone or download the Cognitive Services .NET Samples project. Navigate to the CustomVision/ImageClassification folder and open ImageClassification.csproj in Visual Studio. 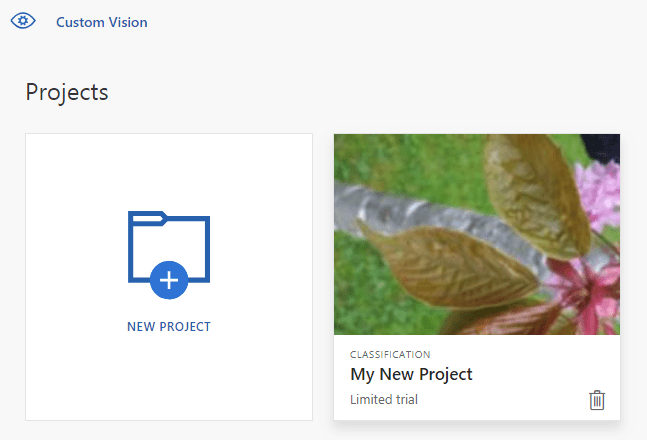 This Visual Studio project creates a new Custom Vision project named My New Project, which can be accessed through the Custom Vision website. It then uploads images to train and test a classifier. In this project, the classifier is intended to determine whether a tree is a Hemlock or a Japanese Cherry. Open the Program.cs file and inspect the code. Insert your subscription keys in the appropriate definitions in the Main method. The following lines of code execute the primary functionality of the project. The created project will show up on the Custom Vision website that you visited earlier. The images for this project are included. They are referenced in the LoadImagesFromDisk method in Program.cs. // The iteration is now trained. Publish it to the prediction end point. The prediction endpoint is the reference that you can use to submit an image to the current model and get a classification prediction. In this script, the test image is loaded in the LoadImagesFromDisk method, and the model's prediction output is to be displayed in the console. You can then verify that the test image (found in Images/Test/) is tagged appropriately. Press any key to exit the application. You can also go back to the Custom Vision website and see the current state of your newly created project.